At Cerritos INFINITI, we work hard to ensure drivers like you throughout Long Beach, Torrance, and Fullerton are satisfied with your experience at our dealership. From the moment you step into our showroom, you’ll be greeted by a friendly staff member. They’ll then point you in the right direction, whether that’s learning more about a specific vehicle, getting finance advance, or having your current ride serviced. Keep reading to discover how our INFINITI dealer is here to serve you. If you have any questions, don’t hesitate to contact us. Our dealership has an extensive inventory of new INFINITI models, including the Q50, QX30, and QX60. If you’re interested in learning more about any of our available new vehicles, then read through our reviews or comparisons. We also have lots of used and certified pre-owned (CPO) coupes, sedans, and SUVs. Both types are very reliable, and our CPO models come with benefits like a limited warranty and 24-hour roadside assistance. If there’s a specific new or used car that piques your interest, then schedule a test drive to see it up close. Sit behind the wheel, learn all about its features, and take it for a spin to see if it’s right for you. If the car is right for you and you want to drive it home, then meet with the experts at our finance center. After filling out our finance application to get pre-approved, one of our staff members will go over your budget and driving needs. They’ll then come up with a payment plan that you’re happy with and will reach out to local banks and lenders to get the right loan or lease terms for you. To help keep your new purchase lasting for as long as possible, you’ll want to bring it to our service center for maintenance or repairs. Our certified technicians work hard in a state-of-the-art facility to keep your car in tip-top shape. They’ll use only genuine parts and will work quickly and efficiently to get you back on the road as soon as possible. If you’re ready to find out how our “INFINITI dealer near me” serves drivers in your town, simply find it on this page and click the link. 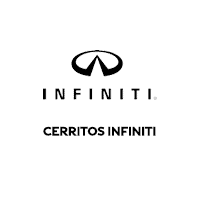 If you have any questions or are ready to find a new ride, then contact us at Cerritos INFINITI. We’re proud to serve luxury car seekers throughout Long Beach, Torrance, and Fullerton, and we look forward to serving you.